From the ancient lore of the Slavic peoples through the Polish Romantic literature of Mickiewicz up to contemporary inspirations and the most recent archaeological finds, Polish vampires continue to curdle blood and inspire awe. While contemporary popular culture tends to point toward Transylvania as the seat and heart of the vampiric myth, most scientists today agree that the concept of the vampire came to Western culture from the folklore of Slavic people, possibly that of the Balkan population of Serbo-Croats. In fact, the belief in vampires, upierzs, and upiórs (as they are called today in Poland) are far more ancient and was once popular across the whole Slavic Europe, reaching also across areas populated by Hungarians, Romanians, and Greeks. 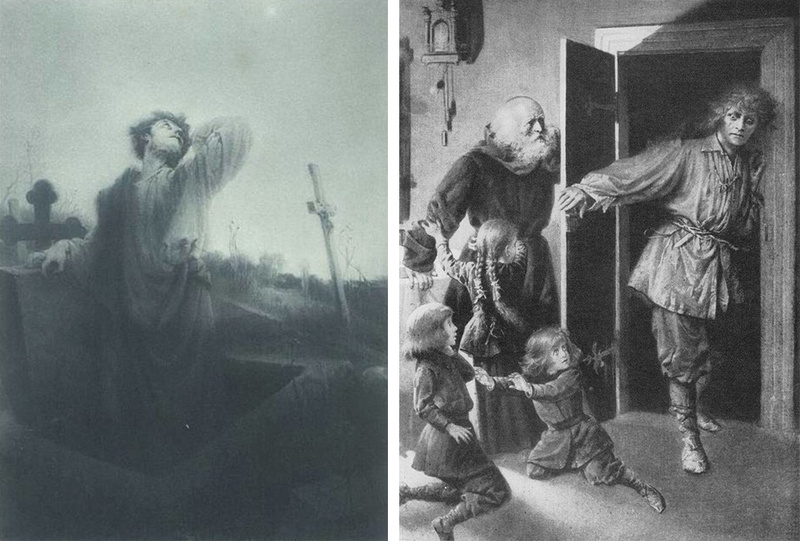 The original Slavic beliefs and imagery connected with vampirism greatly differ from the iconic Western imagery of vampires, popularized in the West by the works of Polidori or Stoker, and ubiquitous vampiric movies. Maria Janion pointed to the fact that many iconic films about vampires, like Polanski's The Fearless Vampire Killers or Herzog's Nosferatu, both set in Transylvania, feature strange instances of Polish spoken by characters living near the vampire's castle. Was it just a coincidence? Or rather a metaphor, signalling a deeper meaning and suggesting that there are important Slavic and Polish undercurrents in the vampirical myth? Moreover, rather than populating the area of the mythical, and today that of the pop, the Slavic vampire was very much part of the deepest folk beliefs – lying at the heart of the Slavic world-view. "Whatever the Slavs claim about these half-daemonic creatures, it is filled with unbound savagery"
What is a Vampire in Slavic Mythology? The most famous and influential work of Western vampirical literature, Bram Stoker's Dracula, portrays the main protagonist as a rather pale figure doomed to eternal life in his gloomy castle, where he lurks along his corridors dressed in some elaborate outfit, interested primarily in the blood of young virgins (but other creatures will also do). His wings, bloody regimen, and nocturnal lifestyle made him more similar to a bat than a proper vampir. In fact, this goes rather far from the original and very real concept of vampires and vampirism rooted in the beliefs of the Slavic people. According to these ancient beliefs which have been suggested to go back as far as the 4th century AD, vampire or upiór were basically the ghosts of dead people, or even the living dead (a mix of the two, a corpse animated by its ghost, was also possible). The most popular beliefs have vampires and upiers pester living people, mostly by drinking or sucking their blood (from veins or heart), eating their flesh, or stifling their victims. Vampire would attack most likely their own family and relatives but could be interested in household animals too. In fact, Slavic – and Polish folklore in particular – developed a whole array of such vampiric creatures, as well as names pertaining to them. In the areas populated by Western Slavs, these included names like upiór, wypiór, wąpierz, wampierz and strzygoń (known in English as Strigoi). The latter, having a female variant of strzyga, came to Polish from the Latin strix, but refers to a similar Slavic concept of a fierce, blood-thirsty daemon. But it seems likely that the original name for these infernal creatures in Poland was wąpierz or wampierz – words which are cognates with the Serbo-Croat vampir (a Southern Slavic variant of the word which has produced the English “vampire”) and upiór, this last word being the most popular Polish generic term for the frightening ghosts of the dead in general. All of the above names, depending on time and locale, could have referred to individual creatures with their own specific distinguishing features, but they're basically all part of one concept, rooted in the primeval Slavic idea of life and death. How did one become a Vampire? There were many ways to become an upiór or vampire after death. One of the most popular folk beliefs held that a future strzygoń was born with two souls. According to this theory, there once were many more strzygoń around – their number, however, declined substantially after the rite of confirmation was introduced in Poland – this way, the second soul got baptized too. But remember, holy water must make contact with the child's body, otherwise the rite will not work, and the child runs a big risk of growing up to be an upiór (that is, after its death). Another sure sign of a strzygoń-to-be is being born with two hearts. An additional row of teeth or a unibrow could also serve as a good indication of who you're actually dealing with. A baby born with teeth runs also a high chance of becoming a strzygoń. Another popular belief links upiórs with those who died with a sudden death or, even more so, those who committed suicide. But the underlying concept behind much of these myths seems to be a deep belief, shared by Slavic peoples, that an evil person would remain an evil person in the afterlife. As we can see, becoming a strzygoń, upiór or vampire was a fairly universal procedure in the Slavic world, as even babies were on the way to becoming vampires. It was also quite democratic, considering that priests too could have become upiórs. Anyway, the Slavic concept of becoming a vampire seems to be telling us this at least: the roots of evil lie hidden deep under the surface of reality and seem unfathomable at first. The numerous ways with which Slavic folk tried to disable vampires (or dead people suspected of vampiric inclinations) make for a catalogue that in many respects is familiar, well-known from films and books about vampires. Even if here, we're basically talking about things done to a corpse lying in the grave, and the Hollywood vampiric lore teaches us how to actually fight a living vampire. Poppy seeds were thrown inside the coffin. A sickle or scythe was placed over the neck of the corpse so that the head would be removed if the vampire attempted to rise. A pebble or coin was placed under the tongue of the corpse, and its hands were tied behind its back. To prevent the potential vampire from rising from the grave, the body's feet were mutilated and the sinews in its legs, cut. It was not uncommon in Poland for the head to be removed and placed between the legs so that the vampire wouldn't be able to reach it (one can easily imagine how this could have likely led to a popular image portraying a vampire or some other zombie-like creature as carrying his head in his hands). Spikes were driven into the flesh of the tongue, probably to prevent the upiór from sucking blood. However, the most popular way to prevent vampires from rising from the dead was to pierce their head or heart with a sharp wooden stake. The material used could have varied depending on the location, the Southern Slavs seem to have preferred hawthorne, while elsewhere the most popular material was aspen wood, with maple and linden wood also popular. Some archaeological finds in Poland show that our ancestors also used iron nails or rods. The nail would enter the skull in the forehead or near the crown area, and piercing through the brain, it would emerge from the back of the head. The abundance of such archaeological finds in Poland but also elsewhere in Europe led Kazimierz Moszyński to suspect that this practice and vampirism itself may once have been far more widespread than is generally acknowledged, reaching beyond the areas populated by Slavic people and ranging beyond historical times. “There's a pending question whether all those excavated skulls, considered by pre-historians as trepanned, were defined correctly so. In other words, there could be among them also skulls that were pierced through with a wooden peg which, in a natural course of events, would have subsequently rotted in the ground." If correct, this hypothesis would make vampirism a far more widespread belief, going back to pre-historic times. The same ethnographer saw a close connection between the vampiric myth and the spread of epidemic diseases in early modern Eastern and Central Europe. In fact, these two phenomena seem to be interconnected, as cases of vampire hunts often seem to follow eruptions of epidemic diseases. 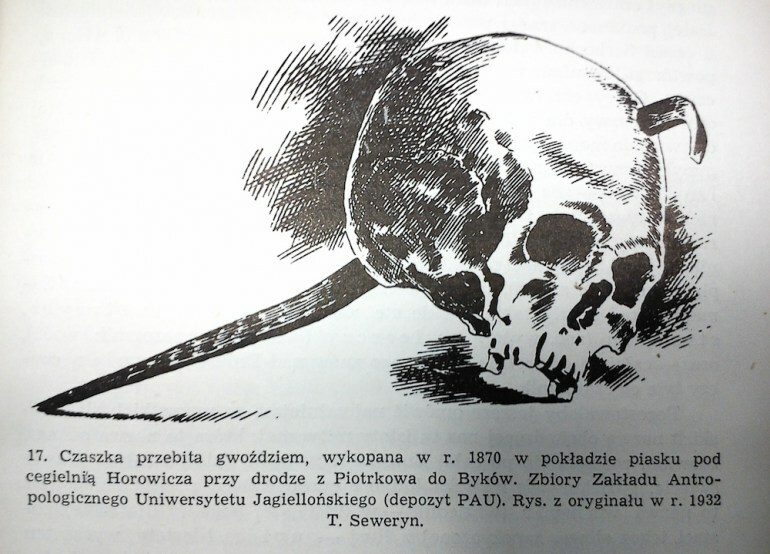 As Moszyński explains, whenever there was a series of fatalities among the livestock or humans of a village or household caused by some deadly disease, peasants would unearth the body of the first person to die, or the person suspected of vampirism, and perform the usual sequence of anti-vampiric procedures. In some cases, this would result in the whole village participating in uncovering dead bodies in search of a corpse that showed some suspicious signs of vampirism. The body still being fresh, or having reddened lips or – better still – blood in the corner of its mouth, were considered the ultimate proof of the vampiric condition. But rather than being just an ethnographic curiosity and a small part of the Slavic system of religious beliefs, vampires and vampirism went on to play an important role in Polish culture. Exorcised in the high-brow rational culture of the Enlightenment, vampires and upiórs returned in Romantic literature and iconography, becoming one of the key figures of Polish Romantic culture. The author behind much of this research and undoubtedly the most fearless vampire hunter in Polish literature was Maria Janion. This brilliant scholar and critic of Polish Romantic tradition at some point began to see Polish Romanticism as infected with vampirism. For Janion, the author of such books as Wobec zła and Wampir. Bigrafia fantazmatyczna, vampire and vampirism, metaphorical and not – became a key interpretative category of Polish literature. Perhaps the most striking case of a poet using vampirical themes in his poetry was Adam Mickiewicz. Janion went on to call the Polish national bard the Great Vampire of Polish literature. But in what way was Mickiewicz a vampirical writer? Mickiewcz didn't only use vampirical motifs in his literary works (as we will learn, he created some of the most haunting vampirical scenes in Polish literature), as it turns out he also had much theoretical expertise in Slavic vampires. As Maria Janion puts it, this greatest Polish poet and perhaps the greatest Slavic poet was also an exquisite connoisseur of Slavic vampires. In his Parisian lectures, given at College de France in 1840-1844 and otherwise dedicated to the issues of Slavic literature, he presented, as Janion puts it, "an outline of a peculiar vampirical anthropology". In Paris, speaking from the cathedra of Slavic Literature with the authority of the greatest Slavic poet, Professor Mickiewicz defined the ontology af a Slavic upiór, insisting it was not someone possessed by an evil spirit. Vampirism was rather the inner condition of the soul, as the upiór were born with a dual heart and dual soul: and in vampires this negative soul or negative heart would take precedence, claimed Mickiewicz, much in keeping with the lore of the Slavic people. Mickiewicz was also familiar with ways of disabling a vampire. This knowledge makes him a kind of Van Helsing, also a lecturing professor and an expert on vampires – only more real. Moreover, Mickiewicz's tips in this respect are somewhat surprising. He suggests that one of the most frequent procedures employed in fighting a vampire, apart from staking the corpse, is cutting off its legs [!]. He also recommends burying the dead body deep in the ground “because moonlight has the power to awaken them from the grave”. 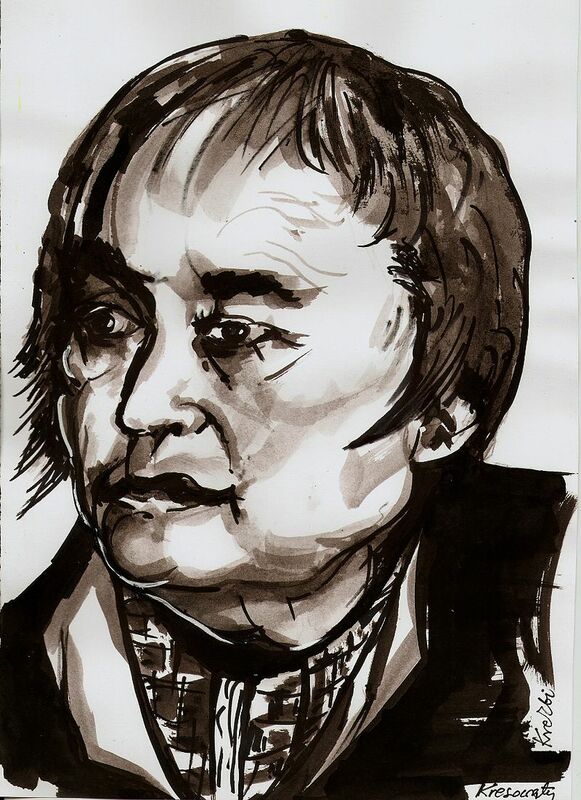 Still, Mickiewicz emphasized that upióry are a natural, human phenomenon, no matter how extraordinary and unfit for being explained by the rational mind. One of the key opinions held by Mickiewicz throughout his teaching on vampires / upiórs in Paris was his deep belief that the very concept of the Vampirical was Slavic in origin. He maintained that each nation has its own proper and very peculiar mode of religious beliefs – for Celtic people it was the belief in people endowed with the second eye-sight [sic], whereas the Germanic peoples believed in clairvoyance. “For Slavic folk this supernatural phenomenon is vampirism”, he stated emphatically. “The Poet-professor believed or wanted to believe in upiórs-vampires just like the Slavic folk did, on the behalf of which he felt he was speaking”. But believing in upiórs was also a way to saviour the individuality of spirits: “you will not find a single person there [i.e. Slavic countries], who would have lost their faith in the individual existence of spirits after death." But the stake – excusez le mot – was not only distinguishing the Slavic from the Western, the spiritual and material, in order to establish the position of the Slavic civilization in a historiosophic perspective. 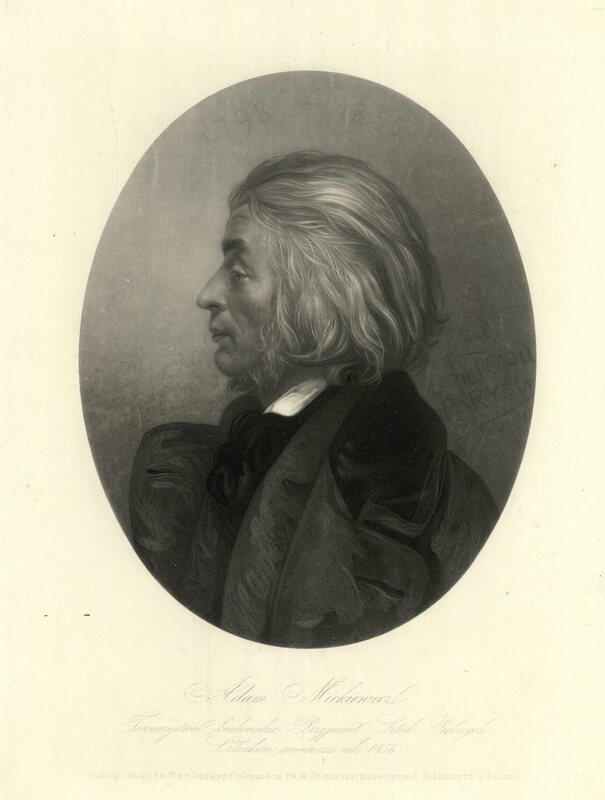 Mickiewicz was also savouring his own existence as a man and poet. One of the earliest instances of Mickiewicz's interest in death, the supernatural and the Slavic upiór vampires comes in the opening poem of his drama poem Dziady, Part 2 (Forefathers' Eve Part 2), entitled simply Upiór. In the poem, which serves also as a kind of prologue to the whole piece, Mickiewicz introduces the figure of a young man who after committing suicide rises from the grave on the same day every year to the amazement of local people. The sad figure re-appears later in the proper part of the drama (Part 2) among the ghosts invoked by the master of ceremonies performing the ancient rite of the Dead (i.e. The Forefathers' Eve). But unlike the other ghosts, this upiór doesn't say a word – he also doesn't react to the apotropaic formulae of Guślarz, who seems powerless in contact with this upiór. The boy seems to recognize one of the gathered – a young shepherdess, and the folk recognizes the scarlet scar across his as a sign of suicidal death. That he is an upiór we can learn from Part IV of the drama. This poem opens with a night scene at a lonely house in the woods which is visited by a vampire-upiór. Gustaw, which as we learn was the name of the boy before he became an upiór, tells the story of his infelicitous love and subsequent suicidal death. The scene ends with a monologue explaining the nature of his condition – Gustaw as an upiór remains connected to the girl he had loved, and is bound to follow her much as a shadow does. One could say that this kind of upiór-vampire is at first sight rather harmless, buried under the burden of his longing, he is unable to act on his own in a dangerous manner. However as we will see, this upiór will soon turn into a full-on vampire in another part of Mickiewicz's arch-drama. Władysław Wiktoryn Siciński may have been no vampire, however his image, here portrayed in the 19th century Polish newspaper, draws on vampirical imagery. Mickiewicz's fascination with the supernatural horror and the folk beliefs of his homeland also inspired a short poem, Popas w Upicie. Subtitled “A True Event”, the poem draws on a legend of Władysław Wiktoryn Siciński, a 17th century nobleman from Lithuania, who, according to legend, was the first person in Polish history to make use of the Liberum Veto, a political procedure that would later paralyze the decision-making process of the Polish Commonwealth and which eventually came to be seen as one of the reasons behind Poland's political weakness in the upcoming decades and its ultimate dissolution in the late 18th century. (Learn more here). The legend has it that Siciński was struck by lightning on the day the Sejm in Upita was cancelled for the first time in 1652. The same legend claims that after Siciński's death, his dead body failed to decompose and that the earth wouldn't accept him. According to one version, Siciński dug his way out of the earth – and much like any good upiór/vampire – walked out of the tomb. The quasi-mummified body of Sicinski then became a kind of local attraction – according to ethnographers the corpse which was said to have preserved the original features, was presented to the willing visitors of the Upita's church as late as the end of 19th century. This is also the story which Mickiewicz tells us in his poem. Written around 1825, the poem is remarkable for the gory details with which Mickiewicz depicted the corpse's ugliness, which made researchers speculate whether Mickiewicz had not seen the corpse in his youth in Lithuania (Upita is not from Kaunas and Vilnius where Mickiewicz spent his university years). 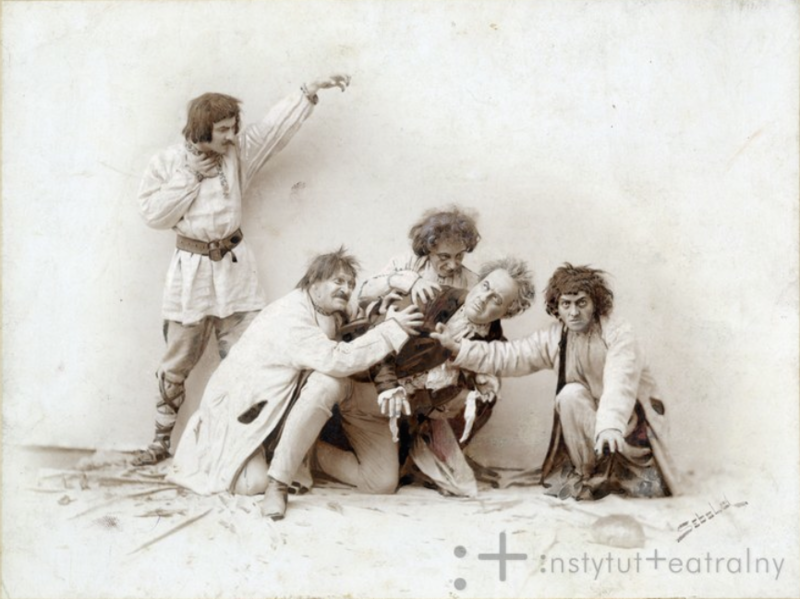 The dead man portrayed in Mickiewicz's poem may not be a vampire in strict terms, however he surely can be considered a kind of upiór, fitting the criteria for a creature stuck between life and death. Moreover, his out-of-this-world condition is seen as a kind of divine punishment for his transgression and sins against the fatherland, thus establishing a relation between the political and existential. This brings us closer to the ultimate vampirical moment in Mickiewicz. This moment came in the Third Part of The Forefathers Eve. Written in 1832, this part of the drama represents the transformation of the protagonist from the figure of Gustaw, a rather good-natured, Romantic upiór of a suicide victim of unrequited love (the kind we saw in The Forefathers. Part 2) into a primordial, dangerous and blood-thirsty vampire of patriotic vengeance. In the course of this symbolic transformation the protagonist changes the object of his desire, the love for the girl is replaced by love for his country. The high point of the protagonist's transformation comes in the so-called Song of Konrad. This short fragment of Konrad's monologue consists of a vampiric song which, as Janion has put it, springs from “the potency of patriotic fierceness, hate, and revengefulness, which have no equivalent in Polish literature". The main theme of Konrad's song is the kind of madness residing at the heart of vengeance. Konrad speaks of the ultimate desire of revenge: he describes how the blood of the enemies will be sucked and their bodies chopped with an axe and eventually – in a ritual practice that seems reminiscent of both anti-Vampiric procedures and Christian crucifixion – nailed to the ground. Konrad's song has been described – already in the poem – as satanic and pagan, as his gesture of unstoppable revenge on his enemies entailed also a revolt against God and his laws. Also critics were at odds about it: Janion goes on to describe this horrifying song as Slavic, and even Pre-Slavic: transgressing the Christian moral order brings about the frenetic figure of the vampire, she concludes. “The song is appalling in its fierceness and strangeness. It unveils the horrifying, mad call of revenge – one which can be heard as the howling of vampires and werewolves. 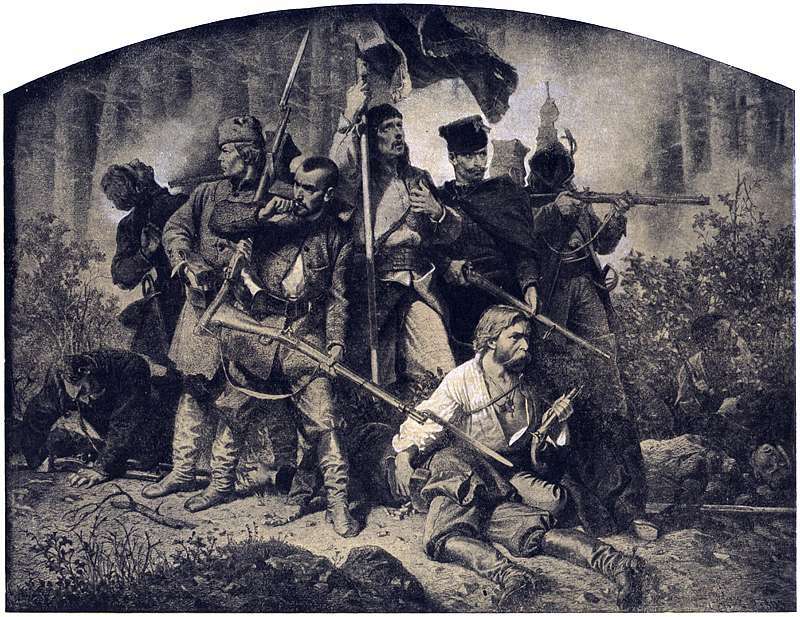 We can sense that here Mickiewicz confronted some sort of extremity and faced it from outside the Christian morality. As Janion goes on to explain, the vampiric experience was to stay with the Poles. Throughout the 19th century, when Poland remained partitioned between neighbouring empires, figures of vampires, upiórs, or phantoms would return as a metaphor of fierce revenge seen as the ultimate imperative – beyond good and evil. Now, it was not only Mickiewicz and his poetry, including the the Song of Konrad, which were vampirizing the readers, the ultimate Vampire was Poland. “Bitten, infected, vampirized by Poland, it is now the insurgents themselves [i.e. taking part in the January Uprising of 1863] who in a natural course of events want to vampirize their compatriots,” explained Janion. Janion concludes by quoting another vampiric song (this one by Leon Kapliński) sung by the Polish soldiers fighting in the January Uprising – with the memorable line: 'With our own teeth we want to tear flesh and bite bones'. Janion believed this kind of vampirism, itself rooted deep in Slavic prehistory, was central to Polish experience of history. She concluded her study bringing up Gombrowicz and Miłosz, both of whom accused Polish culture of ignoring the isue of Evil –the unde malum, theodicy, the evil's genesis and metaphysics. Because, in the end, what does it mean to be a vampire, or rather a wampir? “Wampir is our doppelgänger, he is our shadow, in the sense that it embodies the evil part of the soul – which remains the soul's organic and most inner element; it is the evil that is lurking in every one of us. Wampir becomes the symbolic figure of transgression into evil," Janion wrote in her study. Polish vampires continue to haunt the imagination... and make headlines. 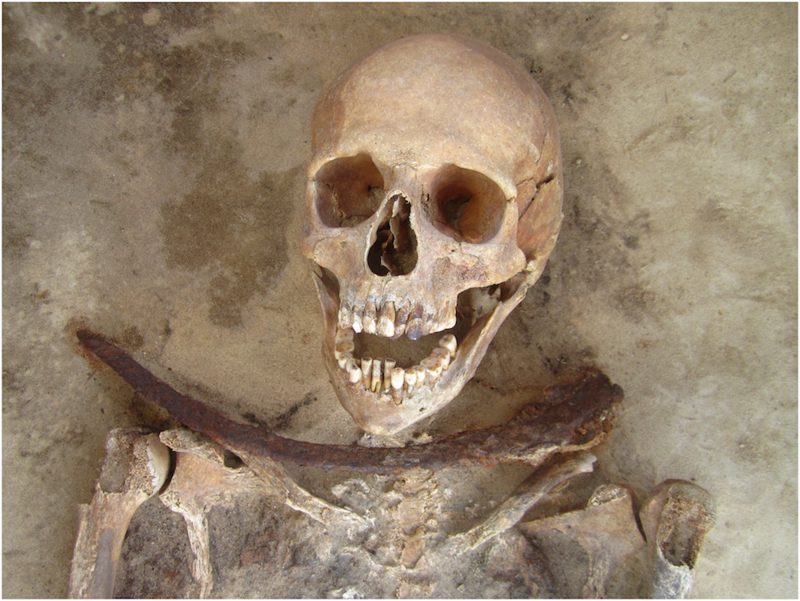 One of the most famous and notorious cases from recent years was that of the so-called Vampires from Drawsko in West Pomerania where in 2008-2012 a team of Polish archaeologists uncovered uncovered some 285 graves from 17th and 18th century. Six of these graves, located on the edge of the cemetery, raised special interest as the dead had been buried with sickles across their throats and rocks under their chins. This looked like a typical vampire burial. A new explanation came in 2014 when a new study by American researchers (published here) suggested the dead buried in Drawsko very likely died of cholera. As it was thought the first to die in deadly outbreaks would return from the dead as vampires, bringing the deadly disease back with them from the underworld, the villagers performed the well-known apotropaic rituals. Learn more here. Another case of Polish vampires returning recently to play an inspirational role in pop culture came in 2009 with a novel by Guillermo del Toro. In 2009, the author of Pan's Labyrynth, who also happens to be an expert on the daemonic (vampires included), co-wrote a vampire novel, The Strain. The book was then followed by two other novels, and the trilogy was eventually turned into a TV series in 2014. Both book and film, as the New Yorker journalist put it, can be considered a gory update of Polish vampirical typology – and a riposte to the swoony Twilight. 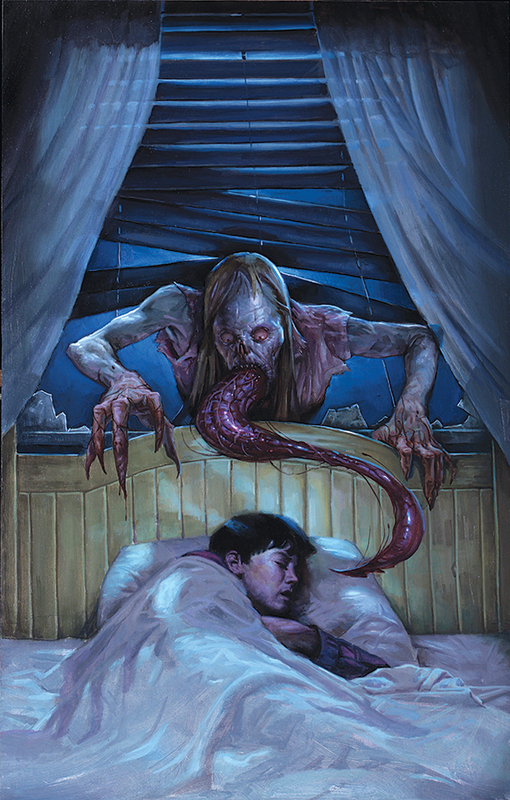 The story of The Strain is set in contemporary New York, where a group of protagonists including former history professor and Holocaust survivor Abraham Setrakian try to stop a vampiric epidemy which was carried to the city on-board a plane. The prologue takes us back in time to 1932, Romania. Here the young Abraham Setrakian is told by his grandmother the legend of Jusef Sardu, a Polish nobleman who suffered from gigantism, and was brought to Romania by his father on an expedition to hunt wolves. The entire hunting party mysteriously died or disappeared, except for Sardu, who returned to his family home in Poland but was rarely seen by the townspeople; and he eventually became the village bogeyman. Ten years later, the Setrakian family are forced to flee their home by the Nazi occupation. This is only the backdrop of the contemporary story told in the film. But once again, like in the case of the famous vampire movies by Polanski and Herzog, we can see Polish vampiric tradition at the heart of the tale about contemporary vampires – as if corroborating Janion's tentative interpretation that there's something more to these Polish guest apppearances on the margin of the Transylvanian vampiric landscape. At least, by now we know it's no coincidence. Was Van Helsing Originally from Poland?